People all over the world are eager to learn Chinese, especially as the Chinese economy has grown into the powerhouse of today. People often complain, however, that learning Mandarin Chinese is an arduous and painful task. It doesn’t have to be. To learn Chinese characters fast and fun is the best way to learn the new language quickly. When you bring your Chinese language toolkit with you, learning Mandarin becomes much easier. Instead of just memorizing endless lists of words, you can understand the underlying principles that bind the language and its characters together to form complete ideas. Once you’ve mastered these foundational principles, it’s time for you to start picking up speed. Thankfully, there’s a better way of learning Mandarin today. Making it easy to learn Chinese characters fast and fun is the best way to build your vocabulary quickly and to retain the language for future use. Hacking Chinese really is a better way of learning Mandarin Chinese, so if you focus on these steps, you will be glad you did. Using these life hacks for learning Mandarin will have you reading, writing and speaking Chinese in no time at all. Characters are broken down into parts called components. There are thousands of characters, but if you learn the 214 basic radicals that form all the characters, that’s a great starting point. Consider using a tool to make learning easier, like spaced repetition software. When I created the Hacking Chinese course, I studied over 20,000 Chinese words. If you test me, I promise you I will nonetheless score in the 90-95% range. Astonishingly, I truthfully spend only about 30 minutes each day practicing my vocabulary. What’s the secret? My greatest advantage is the fact that I use spaced repetition software, because it allows me to learn a new language with the greatest efficiency. How does spaced repetition software work? Well, it’s really very easy. Let’s say you learn a word for dog. The software will show the flash card with the word dog on it. If you get the word correctly, it won’t ask you again for a few days. When you think about it, this is the same way a child learns a new language. The technique replicates the natural way of learning a language. If you get the question right, it won’t ask you the question again for several days. If you get it wrong, however, it will ask you again the very next day. It will keep asking you each day, until you finally get it right. Once you attain a certain degree of mastery of the word, then the time interval grows longer and longer before it asks you again for the meaning of that word. It’s a natural and easy way to remember new vocabulary words. Let’s review the building blocks that make our Chinese language toolkit. The first building block of learning Chinese is to review the character components. You break the characters down into parts. This way, learning each character and its meaning becomes easy. Secondly, the various radicals combine together to form Individual characters. In turn, the characters and words are combined to form a complete thought. Don’t worry about waiting until you’ve mastered these steps because learning a new language like Chinese is meant to be fluid. You won’t want to wait until you’ve learned the words perfectly before you begin to enjoy communicating in Chinese. The more you practice, the faster you will begin to have a high fluency in the language. To learn Chinese characters fast and fun will help build toward your ultimate goal of mastering Chinese fluently and accurately. Finally, we have a chance to start picking up speed. Once you’ve mastered the basic building blocks of learning Chinese, the rest becomes pretty easy. You will want to be sure to use a mnemonic device to help you remember all your new vocabulary words and the characters that go with them. Do you remember what a mnemonic device is? It’s something that’s a silly or crazy phrase or song. You write it to help you remember all your new Chinese vocabulary words. Remember that the more outrageous you make your mnemonic device, the stronger the association between words will be. We’ve taken a lot of time to review the basic building blocks of learning Chinese, but now our long-term investment will finally pay off. That way, when you come across a sheng ci’, a word that is unfamiliar or not yet studied, you will be able to pick it up and incorporate it into your vocabulary with impressive speed. As I created the Hacking Chinese course as a better way of learning Mandarin, I’ve learned over 1,000 new words a month using the spaced repetition software. What’s the Fastest Way to Learn New Words Quickly? Find an association that binds the two ideas together, and then link the parts together. As an example, we look at the characters that mean “life” or “to be born,” coupled with “disease” or “illness.” To see the association between these two words, we can think of disease as something that’s growing within the body. Think of disease as being “born,” which is the same as being ill.
Then, make your mental picture of illness being born from the body as colorful and vivid as you can think of it. To make learning Chinese characters as fast and fun as possible, the trick is to make your mental picture extremely memorable. Make it vivid and vibrant. In 2011, we conducted a small and rather unscientific experiment to see how well the mnemonic association technique works for acquiring new vocabulary words. At the start of the study, there were about 2,000 words that I didn’t know already. With practice, I studied about three hours a day going over my new vocabulary words, learning about 400 new words per day or about 135 per hour. Using my spaced repetition software, I was able to remember about 95% of the words over the next few weeks. I say this not to boast, but a 95% success rate is an impressive result, and you can have the same success! Understandably, it isn’t enough merely to learn characters and words. 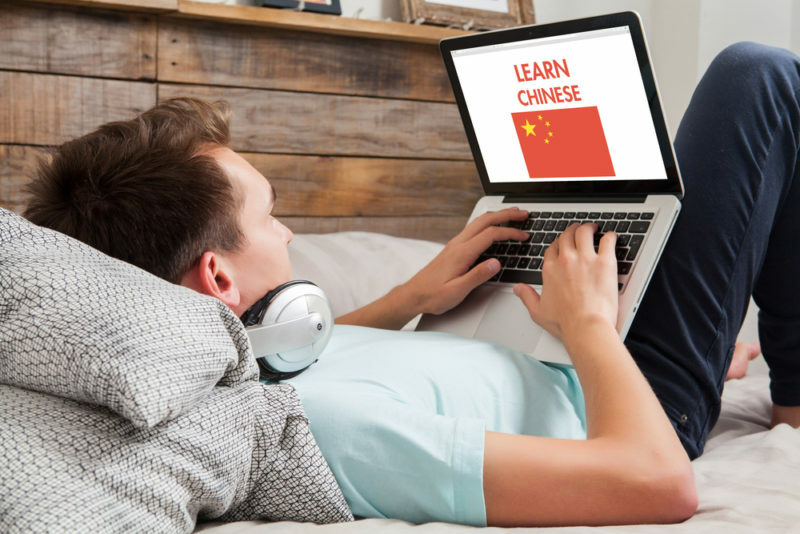 You will want to continue using the Hacking Chinese course, together with your spaced repetition software, to retain your language skills over a long period of time. With practice and repetition, you will have a blast learning to communicate effectively in Chinese. When you use your Mandarin Chinese, the entire culture of China will be like a pearl for you to enjoy and to cherish.